Fall is hinting at its arrival, and that gets me thinking about the holidays already. I know that sounds insane, but I am someone who makes a lot of stuff for gifts and decorating for the holidays. Add my new found essential oil obsession as it relates to my family's health, and my list of DIY projects gets pretty long. The only way to stay ahead of it is to start now. 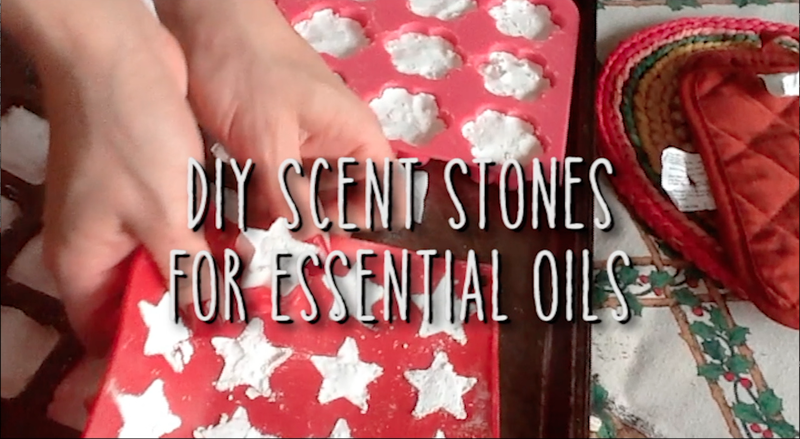 One of the things my sister and I make for essential oils are scent stones. You can use them for back to school needs like lockers and gym bags, and for using them when a family member gets sick with colds and flus. A few drops on a scent stone put in the shower or near a bed can help with breathing or sleep. Use one during homework time for focus and calm. Use them in the car for energizing or relieving stress. Scent stones allow you to diffuse some oil in a really portable, incognito kind of way, and they make a great gift. Make some nicely shaped ones, and put them with some gauze and ribbon and VOILA! You can add a small bottle of oil too if you are feeling generous. Here my sister joins me in one of my 'Fridays with Flora' episodes to show us how easy they are to make. For other 'Fridays with Flora' episodes about crafting, gardening and cooking, visit my youtube channel! I try to update the channel with a new episode every Friday.